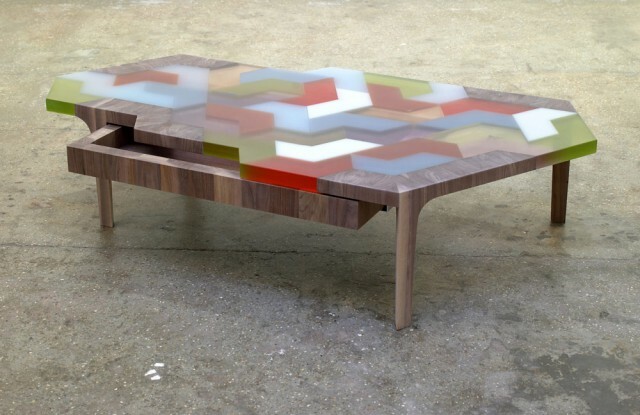 Swatch Table is a contempo­rary version of a coloured mosaic. 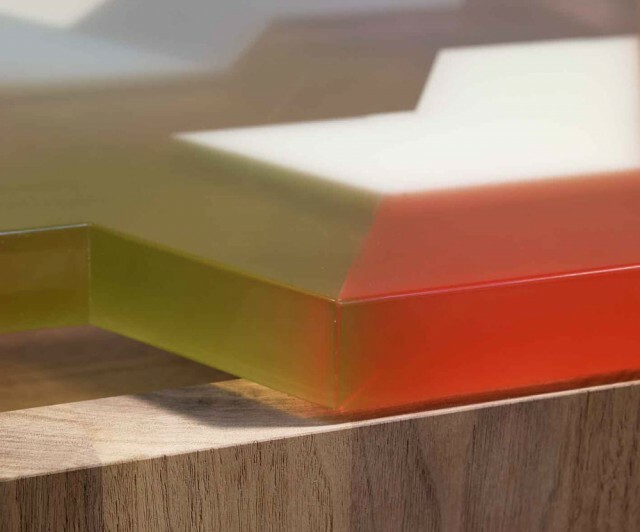 The colours have several gradations – trans­parent, milky, gloss and matt. 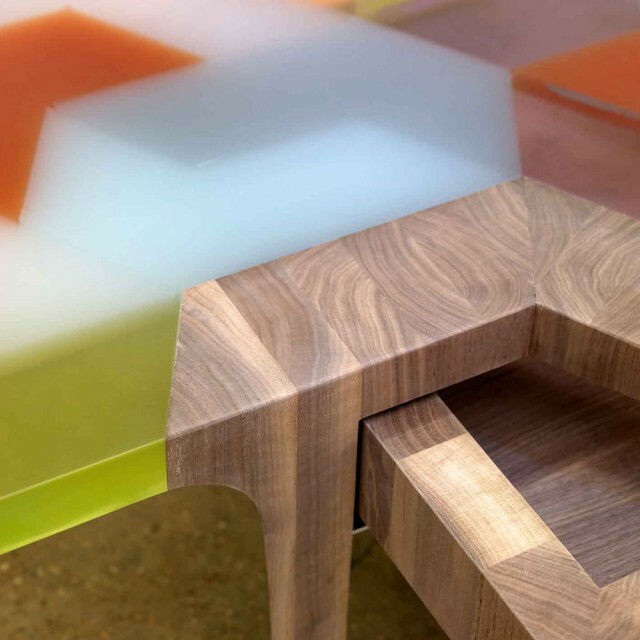 The shapes of the blocks deter­mine the outline of the table.